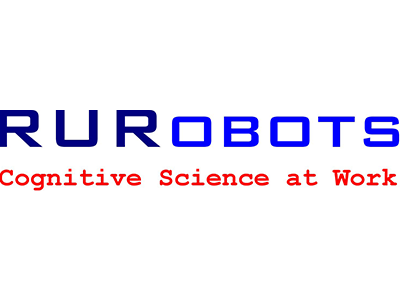 R U Robots Limited (RUR) is a small and independent advanced robotics and cognitive systems company providing custom robot solutions for a range of clients. RUR can directly trace its roots to the setting up of UK National Advanced Robotics Research Centre (UK NARRC) in 1988 which was part of the UK government Advanced Robotics Initiative. R U Robots works with clients to provide service robot and remote handling solutions in a wide range of application areas. Key focus areas are nuclear, healthcare, construction and the food industry. RUR has also worked in consumer goods, aerospace, defence, rail and general manufacturing application areas. The Company deliverables range from concept and feasibility studies through to full prototype and one-off build systems. RUR is capable of designing and building full robot systems but the key skill areas are those of robot control system software, sensor interpretation and integration software, and Human-Robot Interface design and assessment. RUR has also undertaken significant work on advanced robot architectures and uses its own proprietary hierarchical architecture for developing customer solutions and producing cost effective results. As well as its own highly qualified staff, RUR works with many UK and worldwide high technology companies and research organisations to provide a wide competency offering to its customer base using a project based, virtual company model. This approach enables the Company to provide a flexible response and coverage of many leading edge technologies, without the adoption of high overheads typically associated with such capabilities. RUR also provides the UK government representation to the International Advanced Robotics Programme and provides the SME lead in the SPARC European Public Private Partnership for Robotics.